A leading moral psychologist traces the political anger and anxiety of Generation Z to well meaning — but hyper — parenting. Generation Z is the most medicated and depressed generation in history, and the most looked after. What went wrong? My inquiry into Generation Z’s troubles began indirectly through my interest in the phenomenon of raging political animosity that is overtaking civil discourse. In an article I wrote for Chief Executive magazine, I asked two eminent attorneys what a restaurant owner should do when a patron disturbs another customer’s dining experience because of political views (either expressed verbally or by wearing a hat or political pin). The advice was that if a patron is harassing another, the establishment has every right to chuck the offender out, although few are willing to go this far. Markets may not lie, but they do form boycotts and protests as soon as the video sequel of the police action goes live. Except in the most egregious cases, a legal solution isn’t practical. 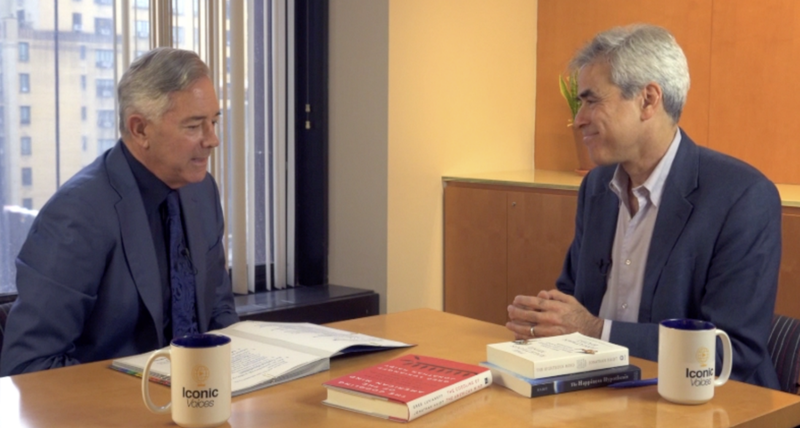 To get a better handle on what would cause someone to react viciously when confronted with speech they disagree with, I interviewed one of the nation’s leading moral psychologists, Jonathan Haidt (pronounced ‘height’), a professor of ethical leadership at NYU. His take on the crisis of ‘hate’ that is cascading through our social interactions is refreshing. The conclusion from our interview, which can be found in more detail in Haidt’s book, The Coddling of the American Mind, may give pause to those who cherish civil discourse as an unalienable right. We may be entering only the middle phase of a cultural civil war, one that has many battles yet to be fought. As to why this is so, the acidic tone on Capitol Hill cannot be blamed on just President Trump or Diane Feinstein, according to Haidt. They may be carriers or they fuel the vitriol, but the instinct for brutal retaliation against political enemies is buried deep inside us, one that helped us survive in primitive times. Only for Generation Z, it is more than politics, it is a birthright. The reason outrage is so infectious is we are programmed to act when, as Haidt would say, ‘our hive’ is threatened. The nature of humans is to be groupish, and we are the most hyper-social animal on the planet, more than bees or ants. Anything that threatens our small community feeds the primitive instinct to defend and attack. These days, a toxic medication called social media is added to the brew and the result is volatile. When you ply young minds with a social report card from their peers, the call to action is irresistible. Killer bees swarm to the buzz of likes and faves, and recruit more bees with shares. Soon, the swarm begins. One reason why the political fires burn so brightly in Generation Z turns out to be overprotective if well-meaning parenting. The reality is they are the most sensitive generation in America’s history. They get hurt easily, to the point they find certain speech or words (called “trigger” words) profoundly threatening. It allows disagreements about politics to be treated as genuine threats to safety. Violence can be a defensive reaction in these cases. According to Haidt, the problem started long ago, on the playground, due to a lack of unsupervised time for the children. Generation Z parents overprotected (he would say ‘coddled’) their kids, rearing them in a safety bubble for what they believed were sound reasons: “even though mothers today have fewer children and spend far more time working outside the home than they did in 1965, they are spending more total time taking care of their children.” It has gotten to the point that if a child is seen wandering out of doors without an adult watching over them, people will call the police. There was a case where parents were charged with ‘neglect’ for leaving their eleven year old child in their own backyard without supervision. The worry about children’s safety was fueled by several random but tragic incidents of kidnapping during Generation Z’s formative years. These kinds of events are every parent’s worst nightmare and they led to understandable paranoia. Missing children’s pictures soon began to appear on milk cartons and pizza boxes. Cable TV, the new new thing, took to sensationalizing the cases for the ratings. He employs what I call a “Haidt meter.” When he speaks to audiences, he asks at what age did they first spend unsupervised time (alone or with friends without a parent around to chaperone). The over 40 crowd says it began at age 6–8 and the under 25 group says about 14–16. Generation Z was not allowed to wander around. The result was a perception of greater safety but also something quite detrimental. The generation of young adults just leaving college never learned to deal with challenges without the presence of a parent or teacher. They were weaned on intervention and arbitration by authority. So when it comes to defending a position against an opposing point of view, they feel threatened, unsafe, and want to ‘shun’ the offender, because no parent is there to adjudicate. Think about the turmoil on college campuses and you can see how this manifests itself in young adults who never had to fight their own battles. 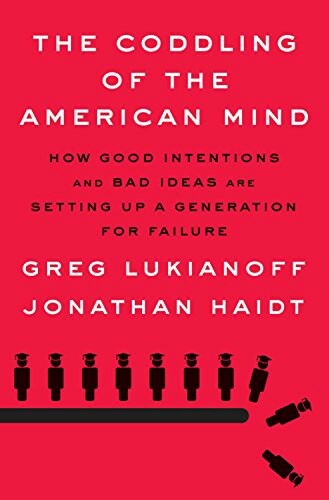 Unlike previous generations in which parents told children to laugh insults off as in ‘names will never hurt me,’ this generation finds language that espouses beliefs they are uncomfortable with very jarring, according to Haidt. It can create a condition not unlike PTSD. It is important to recognize they genuinely feel alarmed and want a protective shell to function. The problem has cropped up in other ways. The entire generation has the highest rates of anxiety and depression in the history of psychology. Haidt started to see these go up around 2012 as this generation began to reach late teenage years. It was especially so for women. A big part of the problem is social media. According to the National Institutes of Health, there are dozens and dozens of pro-suicide websites for anyone thinking of doing away with themselves. The match for this tinder is social media. Haidt notes that by 2010, “nearly 40 percent of teenagers have Facebook and then Snapchat and Instagram. As soon as you get very heavy social media penetration into teens, that’s when the depression rates go up for girls overwhelmingly. Because the girls are caught in constant social comparison.” The reason the same effect isn’t true of boys at that age, according to Haidt, is that they tended to watch video games rather than Instagram. That has problems too, but they’re not nearly as severe as social media.